Apostle Dr. Dennis J. Givens was licensed to minister the word of God in August of 1981 in Tulsa, Oklahoma at Morning Star Baptist Church. In July of 1984, he was ordained in the Church of God in Christ in Gary, Indiana by Bishop W.O. Blakley. As an evangelist, Apostle Givens traveled for several years before beginning Pastoral ministry. In April of 1991 he prayerfully founded New Horizons Outreach Ministry, which began as he and his wife Debra accepted the challenge to give the life giving flow of God to this generation. He is presently the Senior Pastor of this thriving, non-denominational church located in South Bend, Indiana. Under the leadership and God-given anointing of Apostle Givens, New Horizons Outreach Ministry has grown tremendously from its humble beginning of only seven members to a flourishing ministry and has become one of the Gate-Keepers of the city. Apostle Givens has been called of God to minister under an apostolic, prophetic, and evangelistic mantle. He has experienced countless manifestations of the Holy Spirit to confirm the apostolic and prophetic calling of God upon his life. As God has revealed His mandate upon the life of Apostle Givens, that has caused him to serve as an apostolic covering to several churches. He is greatly used in the ministering area of healing and deliverance. He possesses a strong passion for bringing unity to the Body of Christ and is used of the Lord to sound the alarm concerning the urgency of God's people to come together with one accord. In addition, ministering to married couples and to the family as a whole is an area in which Apostle Givens, along with his wife Debra, have been given great revelation and compassion to help give guidance and healing. Ministries and individuals alike have been revived, strengthened, and enlightened as Apostle Givens has spoken the word of the Lord unto them. The testimonies of his life have been instrumental in revealing to many the miracle working power of God. Dr. Givens is the author of a book entitled Transcending Glory. Many have been catapulted in their faith as a result of reading this enlightening book. 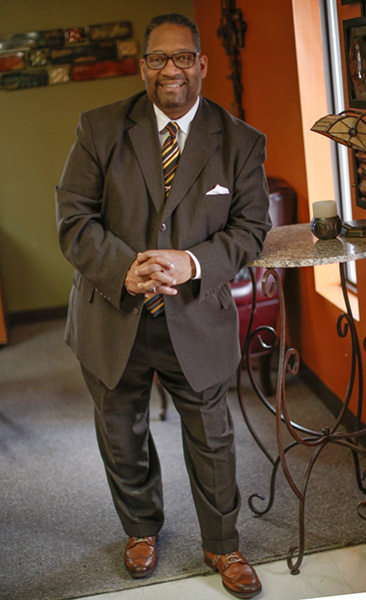 Apostle Givens is the founder of New Horizons Bible College which is an accredited college located in South Bend Indiana. After completing studies at the University of Arkansas Apostle Givens has gone on to obtain a Doctor of Religious Philosophy from Tabernacle Bible College and Seminary of Tampa, Florida. Apostle Givens received his doctorate degree on June 26, 2003. Prophetess Dr. Debra D. Givens was born and raised in South Bend, Indiana. In 1983 Prophetess Givens accepted the call of God to minister under a prophetic, evangelistic, and teaching mantle. She serves as assistant pastor to Apostle Givens, who is the founder of New Horizons Outreach Ministry. One of the greatest mandates Prophetess Givens has accepted from God is the responsibility to impart knowledge to the Body of Christ by equipping and mobilizing this generation toward strategic spiritual warfare. God has gifted Prophetess Givens to carry out this mandate through the use of a highly effectual psalmist anointing. Birthed from the psalmist ability Prophetess Givens possesses, is the music ministry team "High Praise", which she founded many years ago. "High Praise" has been invited to minister in song to many and is instrumental in helping to set the captive free through songs of deliverance. Prophetess Givens continues to write and produce songs that inspire the hearts of many to appreciate and embrace praise and worship unto God. One of Debra's favorite leisure pursuits is decorating and making things beautiful! through decorating and design. 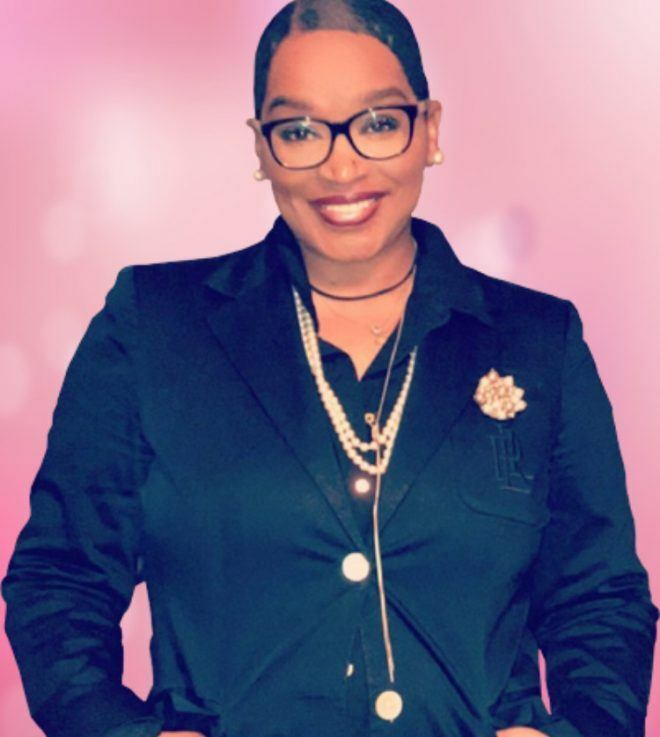 God has opened doors that have enabled Prophetess Givens to spread the gospel via a local television network, LeSEA Broadcasting channel 46 in South Bend, IN, and on a weekly cable television broadcast. In addition to spreading the gospel by way of the media, Prophetess Givens is called upon to minister and sing in conferences, revivals, and seminars across the country. God has also birthed through Prophetess Givens a women’s affirmation, healing and deliverance ministry which has blessed, freed and affirmed hundreds of women both young and old. Her heart felt passion to see others walk in liberty was the catalyst to inspiring her to become an author of a Readers Favorite award winning book entitled, Favor in the Rough. After completing several years of studies at Southwestern Michigan College and Indiana University at South Bend Debra has gone on to obtain a Doctor of Religious Philosophy from Tabernacle Bible College and Seminary of Tampa, Florida. She received her doctorate degree on June 26, 2003. She is co-founder of New Horizons Bible College located in South Bend Indiana. Prophetess Givens is married to Apostle Dennis J. Givens and together they pastor New Horizons Outreach Ministry and are on the move for the glory of God! They are the parents of two lovely daughters, Cara Ozetta& Kaylee Elizabeth Givens. It is the sincere desire of Prophetess Givens to raise and train individuals, nationally and internationally, to become mighty warriors through the word of God. It is the heart of Apostle Givens and Prophetess Givens to raise and train a generation of people to go out and win the lost with the emerging message of the gospel of Jesus Christ and perfect an apostolic and prophetic people for greatness. They extend their love to men and women internationally who are in search of a New Horizon in their lives to come and arise and shine with us, for the Glory of God!